Discover the perfect fusion of work, home and fun at Residence Inn Atlanta Buckhead. 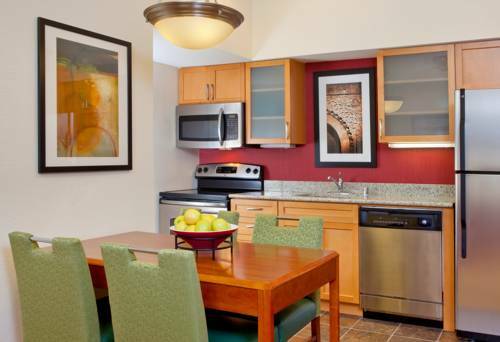 Our spacious suites offer an apartment-style atmosphere with specific areas for sleeping, working and lounging. Bring the culinary comforts of home into our fully equipped kitchens, which provide an economical alternative to restaurants and takeout. Following a sound night's sleep, savor our complimentary, hot breakfast, featuring waffles, eggs, oatmeal and other morning favorites. You can always check the latest news stories anytime, anywhere with our free, property-wide Wi-Fi. On-the-road fitness is a breeze thanks to our on-site workout center and SportCourt. During warmer months, you can take a soothing dip in our outdoor pool. From our hotel, you'll have convenient access to explore Atlanta's most popular points of interest including Philips Arena, Lenox Square and the World of Coca-Cola. No matter what brings you to town, you'll find comfort and convenience during your extended stay at Residence Inn Atlanta Buckhead. - World of Coca-Cola Tour - For over 120 years, we've been putting our secret formula into bottles.